So, what does cyber-security mean for you? 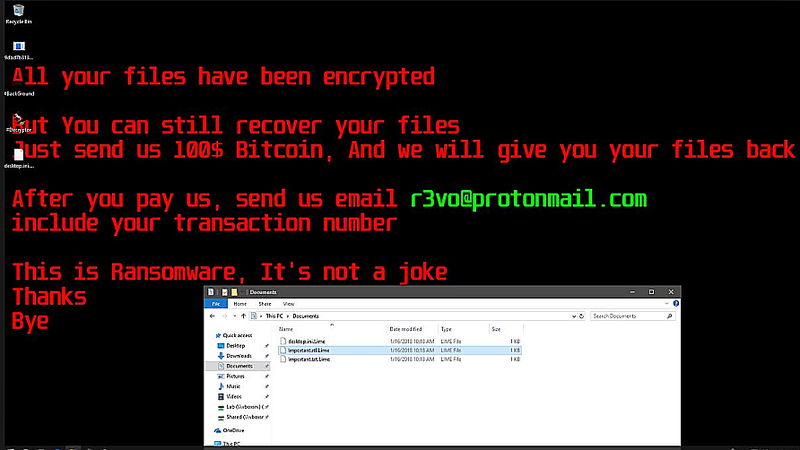 As ransomware evolves and becomes ever more sophisticated, it’s crucial for the public to understand it’s potential for damage. Depending on whether you’re a business or a residential computer user, the costs associated can become quite high in the event of a ransomware infection. Both types of users will be left with an unusable, infected computer. This will, at the least, require having a computer repair person reinstall your machine. The main casualty is the loss of the now encrypted data. This data will be lost forever. Everything. All of your photographs will be rendered useless, unable to be opened nor repaired. It is advised NOT to try to pay for the encryption key. There is no reason to expect that it will be sent to you and this encourages it to continue. For businesses, the costs will continue with over-time for IT specialists, third-party investigators, and/or time spent possibly handling the loss through insurance. One very important, and cost-free, way to help prevent a ransomware attack is to be sure that ALL of your software is up-to-date. Most of you will have seen a “pop-up” saying your “Java” or “Adobe Reader” is ready to update. I know a lot of people who, inexplicably, click “no”! These updates may potentially be offered to close a security hole. By not updating, you leave a “door” open to your computer. Clicking, “no”, leaves an exploitable entry that would be closed with the update applied. One popular program, CCleaner, fell victim to injected malware last year and only updating could fix the problem. 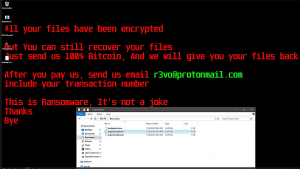 Additionally, ransomware can enter your machine via an email or infected link on a website. As with all things “online”, be very certain you feel comfortable before clicking or opening anything– even if it appears to come from someone you know. An example: you may have a close friend whose email arrives to you, however, either you’ve not heard from them in a long time, or the contents of their email require you to click a link inside the email. This is something this friend has never asked nor sent in an email before. That, should cause you to stop where you are. Close the email and write a new email to this friend. You should ask if they sent you an email recently. Many times, this friend’s computer is infected, and is forwarding the infection to everyone in their address book! Much of the above can be avoided with the proper recovery plan in place. A mirrored copy of your current system, plus a basic back-up schedule, will mean the difference between a total nightmare and an inconvenience. Residential clients can ring for an appointment. Let’s get you set up properly to avoid the worst, before it happens. ‹ Major exploit exposes ALL user and network data–> Update NOW, to fix the KRACK in your security!